Landlords, contractors, homeowners, and business owners alike need a plumbing service they can rely on. Because, these days, even though most things can be learned with the help of a YouTube video, most plumbing simply needs to be handled by an experienced professional. We’ve seen our share of DIY plumbing mishaps – from improperly installed dishwashers that end up spilling water all over the new kitchen floor to showerheads that don’t align with the tub faucet below. And though duct tape and ‘pipe-like objects’ seem adequate as a placeholder, they inevitably lead to a leaky mess. Knowing things like when and how to use the water shut-off valve, where the ‘clean-out’ is, how to use a hammer on parts attached to porcelain toilets, and the fact that a wet spot on the wall doesn’t mean the leak is directly behind it. Though it didn’t take us 60 years to learn the basics of plumbing, it did take us 60 years to perfect our processes and grow our business to be able to offer service to places like Bonney Lake and the greater Pierce County area. Doing business with a multi-generational business like John’s Plumbing & Pumps means you get plumbing service that keeps the experience low-stress and high-quality. The best plumbing service is gauged not just by the final product, but by how the service was handled. Think about the last plumber you worked with. Were they respectful to your property? Did they track dirt onto your floors? Leave tools and personal items all over the house while they worked? Did they complete the work when you expected them to? Was the plumbing issue resolved after they left? How did you feel about the cost of plumbing services rendered? Our team takes the time to think about customer care, not just handling projects as fast as possible and hastily handing over a bill. We’ve heard the stories about less experienced plumbers, and we know it doesn’t’ have to be that way. Plumbers need to handle plumbing catastrophes, large-scale underground utility installations, prepare homes to be put on or taken off the market, enthusiastically answer nighttime plumbing emergency calls, and happily repair simple pipe leaks. Years of experience and dedication means we can do all this and more. We keep prices affordable and service friendly. Pierce County relies on John’s Plumbing & Pumps for fast, reliable service no matter the issue. Leaky sewer pipes, backups, and breaks pose a serious threat to human and environmental health. If left alone, uncontrolled sewage can lead to widespread pollution, sickness, infection, skin rashes, and stomach conditions. Parasites and germs live in sewage, and even if you don’t come into direct contact with it, particles can be picked up by pets and shoes, and will spread quickly when it rains. Sewage leaks, even small ones, can contaminate water supplies, attract insect breeding, and affect environmental quality in a big way. Licensed plumbers are needed to help contain sewage by properly repairing faulty underground pipes. Keep sewage flowing in the right direction by having your lines inspected and serviced by the skilled plumbers at John’s Plumbing & Pumps. 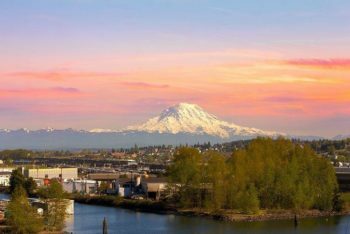 John’s Plumbing & Pumps proudly serves the residents of Bonney Lake, Washington. We understand that unexpected plumbing issues aren’t always in the budget. But, it’s our philosophy to offer licensed plumbing service that is both easy to schedule, expertly performed, and affordable. Contact us for honest estimates, reasonable pricing, and above-standard service. All plumbing work is guaranteed, so if you’re not happy with the results, give us a call back. We’ll be happy to return and fix the problem ASAP.